De Castro's spookfest in his iconic “Magandang Gabi Bayan" news magazine program was hugely popular during the '90s, and was a Halloween tradition for Filipino families. This year, five stories of mystery and of mystic nature await viewers who want a little scare over the weekend heading to the All Souls' Day. Real-life accounts of demonic possession, ghost sightings, and witchcraft will be presented by Kabayan, who has been known to personally go to sites to research on the occult. According to the veteran news anchor, his most memorable experience doing the Halloween special was doing spiels in the cemetery in the middle of the night, and also entering countless haunted houses. 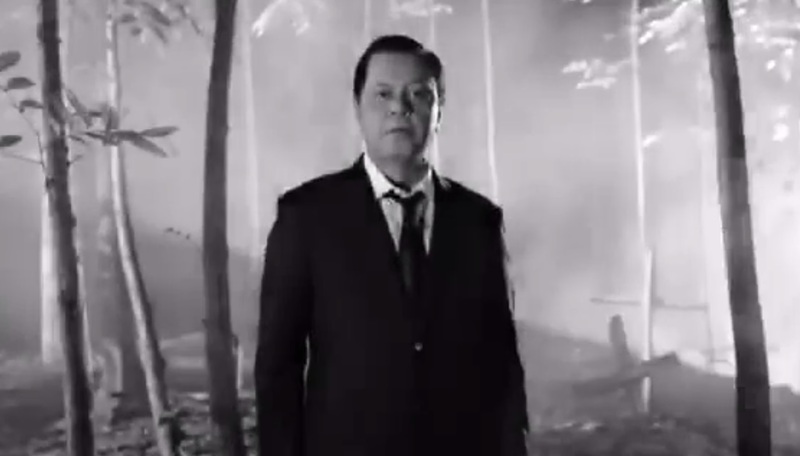 Excitement has filled social media lately with the release of the teaser to 'Kabayan' Noli De Castro’s “Kababalaghan” TV special, set to air on Sunday (October 30) at 3:30pm after "Banana Sundae," and at night on "Sunday's Best" after "Gandang Gabi Vice," in time for Filipinos' Halloween celebrations. In less than a day, the preview to the much-anticipated program posted by ABS-CBN News on its official facebook page garnered over 250,000 views, more than 5,000 reactions, and close to 1,500 shares. With fond memories doing the special, De Castro said it was not a difficult decision to revive "Kababalaghan," which they first din in 2011 due to insistent public demand. The throwback to his Halloween special in "MGB" gave the younger generation a glimpse of the stories that brought chills to their elders, and made the latter recall their scary and fun memories watching the show. “What made us do it again is the huge interest we monitored on social media. Because we have been seeing posts about our old episodes, I thought why not make it again?” he mused. While the 2016 "Kababalaghan" will have better graphics because of new technology, he said the charm of the old Halloween specials will still be there. "It was not for the faint of heart. We used to advise our viewers, 'kung matatakutin ka at may sakit sa puso, stay away', but they still end up watching. People can expect not just scary and occult matters, but also information and the science behind them,” Kabayan added. Catch the return of Noli De Castro’s “Kababalaghan” Halloween special this Sunday (October 30) at 3:30pm on ABS-CBN and ABS-CBN HD (SKYCable ch 167) with a late night telecast at “Sunday’s Best” after “Gandang Gabi Vice.” For updates and more information, follow and visit http://news.abs-cbn.com.